2 mini round or square shortbread cookies in a clear box. 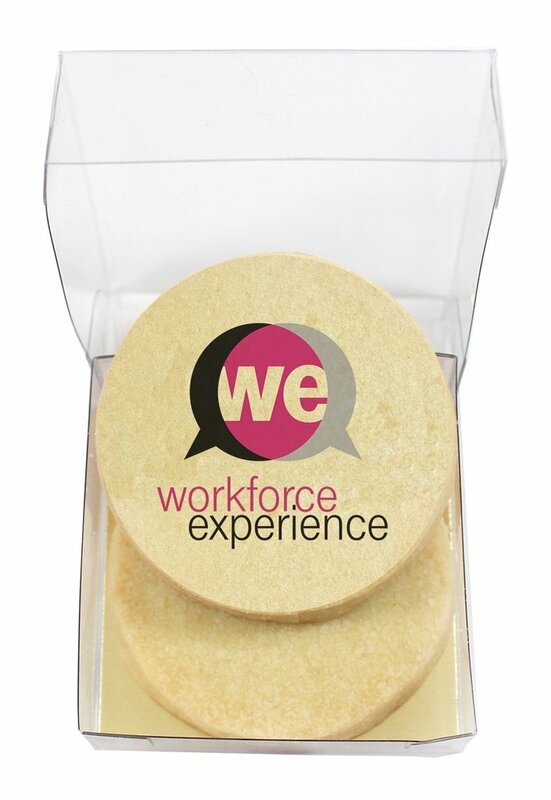 The top cookie can be either iced with a logo or direct printed and the bottom cookie can be coloured to match. Choose from round or square cookies. Round - 2" circle Square - 2" x 2"